Have you ever seen a self-building house in Minecraft Pocket Edition? Most likely you just do not know the command blocks and do not even know what they are capable of. Command blocks are high-tech mechanisms designed to perform certain commands. Just this mansion is designed in such a way that the player does not put effort, you do not even need to take blocks, as the house will be built without your participation. There is no need to do anything, the house will do everything itself. The mansion looks very modern, but if you want, you can rebuild it according to your desire. Inside there are items for comfortable survival. Folding and unfolding the mansion occurs when you press one of the buttons. 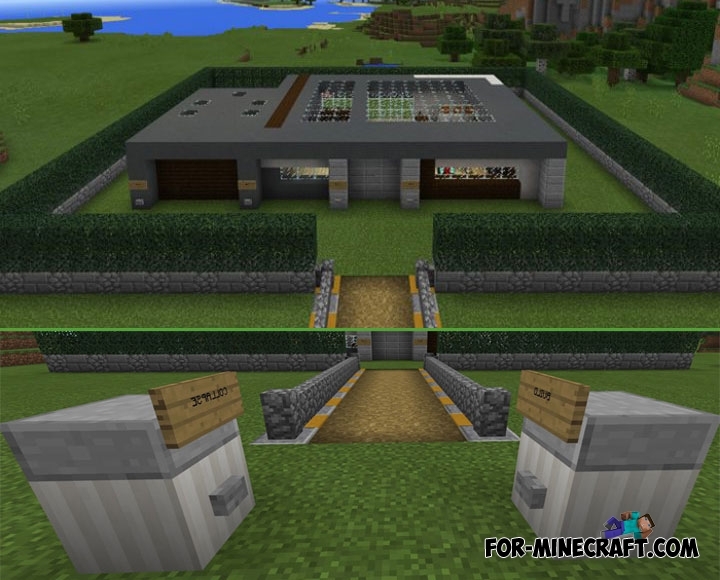 Self-building houses are no longer a novelty, as it was realized in the desktop version of Minecraft. But thanks to the developers and the recent MCPE 1.1 and 1.2 updates (where some useful changes have taken place), any minerafter can easily build something like that.